The room is huge and clean. The only concern is the toilet flooring is very slippery. The family room is spacious and clean. Toilet is slightly small. The hallway has no ventilation. 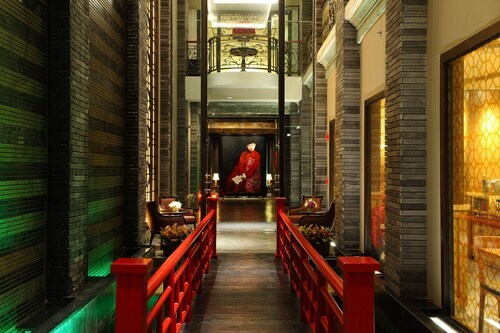 But overall is a good stay and this hotel is close to chinatown, is accessible. Hotel is great location for touring Chinatown. Swimming pool appears to have been giant jacuzzi before swimming pool. It is not possible to s swim laps in pool. Also cannot sit by pool. Internet is lousy, requires constant logging in to be on internet. Quite old but facilities is ok, nearby Hua Lampong Station. Staff good service. Breakfast is quite ok. What you pay what you get. Reasonable price. Quite far from Chinatown. Stayed for 2 nights. The room was clean and amenities were satisfying. One negative aspect was that we could overhear conversations from next doors. Overall very good hotel with friendly stuff at good location. Good choice If you have budget constraint, good location just 5mins walk to Sam Yam MRT station, also bus stop just right outside the hotel, very convenient if you going China town by bus. It is accessible to nearby places by taking a tutu or taxi such as Chinatown, Sleeping Buddha Temple, the royal palace, flower market etc. There are two routes, one for malls and another that stops at asiatique, the grand place are and Chinatown. Chinatown is a bit hectic but this hotel is close to a lot of shopping, short trip to the pier and the metro. 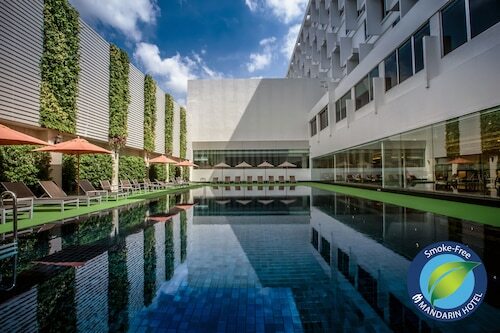 Hotel provides drinks at the lobby for all guests which is very thoughtful of them and shuttle service to places like chinatown and Chatuchak. 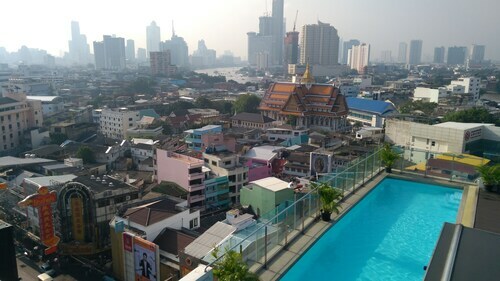 Bangkok’s bustling China Town district, which is officially known as Yaowarat, is the centre of Thailand’s enormous Chinese community. This area is impossible to miss, especially at night, as the main road passing through is characterised by flashy neon signs, dozens of popular Chinese restaurants, gold traders, impressive markets and endless food stalls. 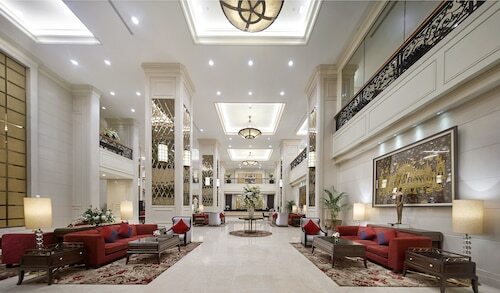 It has a number of older hotels, so visitors can opt for a cheap but comfortable room here too. China Town is one of Bangkok’s busiest tourist havens, and it’s easy to see why. There are many fantastic landmarks to explore here. The temples in this district are a little different to the typical Thai wat, thanks to the large Chinese influence. The most famous temple in the area is Wat Mangkol Kamalawat, which also boasts Taoist and Confucian shrines. It gets very crowded during Chinese New Year. The largest gold Buddha in the world is found at Wat Tramit, and Wat Chakawat Ratchawat is famous for its three giant crocodiles. Strolling through the historic streets of China Town is another popular activity for tourists. With rows upon rows of traditional Chinese-Thai shophouses, and heritage-listed sites like the Sala Chalermkrung Theatre, this district offers an intriguing sightseeing opportunity for newcomers. Visiting the Prisons Corrections Museum is highly recommended. History enthusiasts can get a really close look at how Thailand’s authority treated prisoners while they explore this old prison. Next to the museum is a popular park which is frequented by hundreds of joggers each day, especially as the sun starts to set. This is a bargain-hunter’s haven. China Town boasts an enormous number of shopping spots. Open-air markets like Sampeng Lane, Nakon Kasem (Thieves) Market, Klong Thom and Little India boast assorted items at cheap prices, such as second-hand electronics, clothing, textiles, food and videos. Of course, gold traders in China Town are in abundance too, and offer excellent prices for customers. 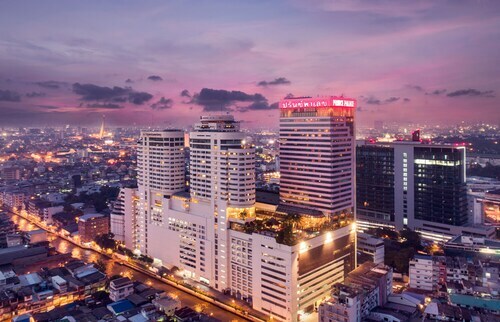 China Town is arguably Bangkok’s best dining spot. The street stall culture here is unlike anything in the world. The food is delicious, cheap and available until the early hours of the morning. It is best to visit this food-friendly haven after the sun goes down, as this is when the market-dining atmosphere really comes to life. Of course, there are also scores of Chinese restaurants lined along Yaowarat Road, providing famous dishes like shark fin soup and other Chinese delicacies. The rooftop bar at the China Princess Hotel, and the Cotton Jazz Bar are two popular venues for visitors who want to enjoy live music and a few drinks too.